If you caught my last post on the kindness of strangers, you may remember that – before a remarkable series of events took place – it was originally destined to be about custard tarts. I just couldn’t not share these beauties with you. The custard tart was one of the bakes on my Bake List – though I’ve probably already mentally added about 30 things and removed others by this stage. It’s something I’ve loved to eat since I was a little girl, but had never made myself. I often used to visit an old lady called Dora after school while my mam was at work. She’d tell me stories and ask me to tell her everything I’d learned at school, cosied up by the fire. Thinking back, she was a little like a surrogate grandma. I distinctly remember that we’d almost always eat the same things; tinned salmon sandwiches with freshly-cut bread and gorgeous homemade chips, followed by a cup of tea and a custard tart. It was one of my favourite meals, though I have a sneaking suspicion the custard tart was the bit I loved the most…some things never change! 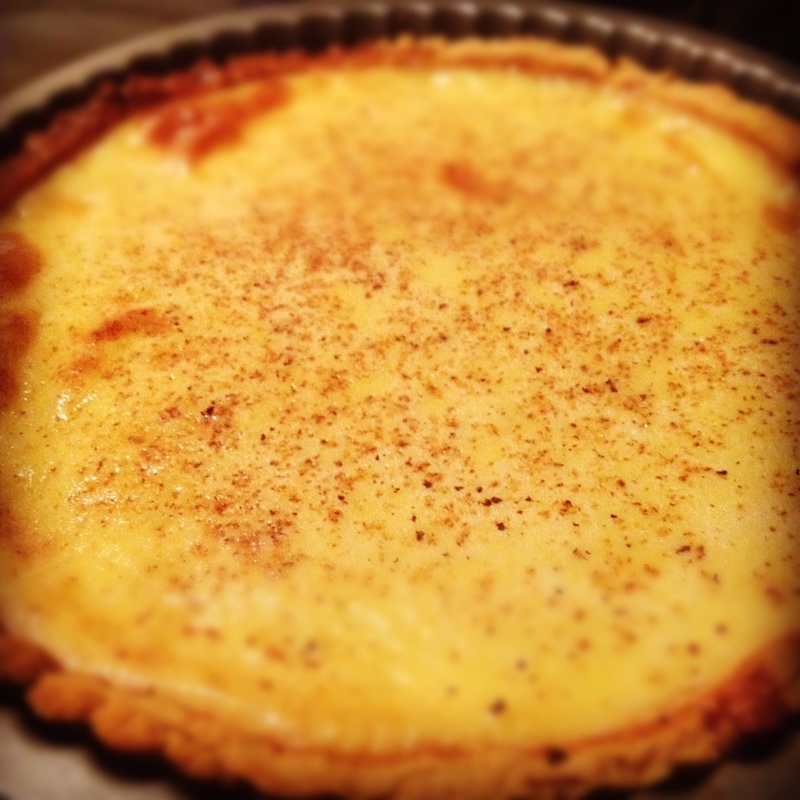 The tart recipe is by BBC good food, and my mini baked lemon custards came about by accident. Though the tart recipe stated to use a deep sandwich tin, I worried mine wasn’t going to be big enough, so used my pastry in instead. That, in hindsight, was an error. I ended up with quite a bit of spare custard, and the ratio of custard to pastry in the final tart wasn’t great once it’d shrunk when baked. 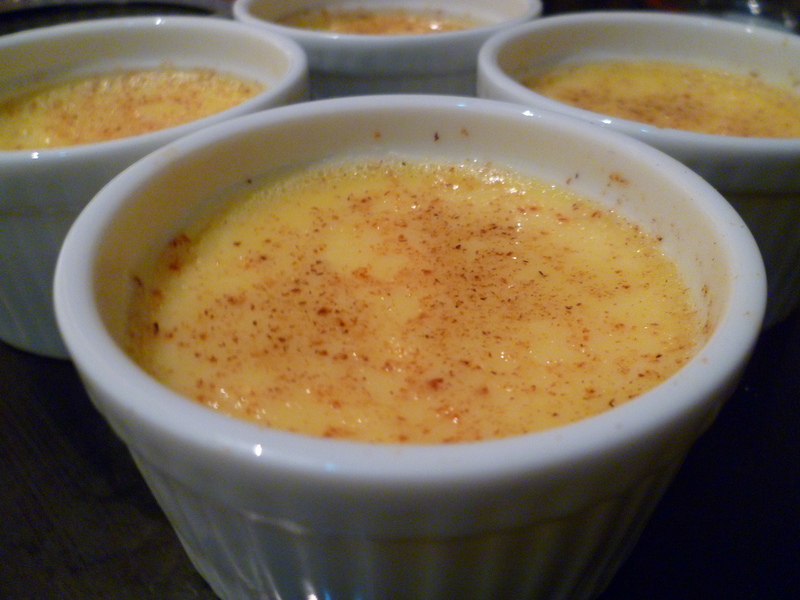 However, it’s an error I’m very glad I made, as it meant I stumbled across these gorgeous custard pots. I’m not going to lie. I’m a little bit in love with them. They’re as smooth as a pannacotta, with the sweetness of custard, and a delightful zing from the lemon. They really are a dinky little pot of heaven, and the real triumph of my baking session. Blitz the flour and butter in a food processor for about 30 seconds. Add 2/3 of the egg to until the pastry starts to form a ball. Remove from the processor and form a ball. Roll out until the pastry is about 3 cm thick, then grate over some fresh nutmeg. Fold it in half, wrap in clingfilm, and pop it in the fridge for 30 minutes. Preheat the oven to 200 degrees/180 degrees fan oven. 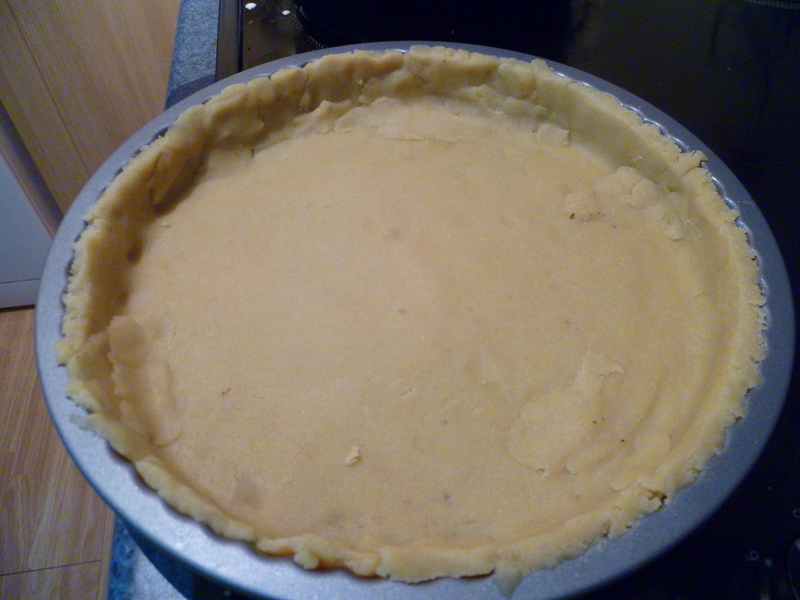 Remove pastry from the fridge, roll it out to the size of your pastry tin, trim the edges, and blind bake for 20 minutes. Remove your baking beans/rice/whatever you’re using, and bake for another 10 minutes. Crucial – turn your oven down to 150 degrees/130 degrees fan oven. Whisk your eggs and sugar together in a large bowl. Put the cream, vanilla, and milk into a large saucepan and bring to the boil. Pour on to the eggs, whisking throughout, and if you’re using vanilla pods, sieve into a jug. 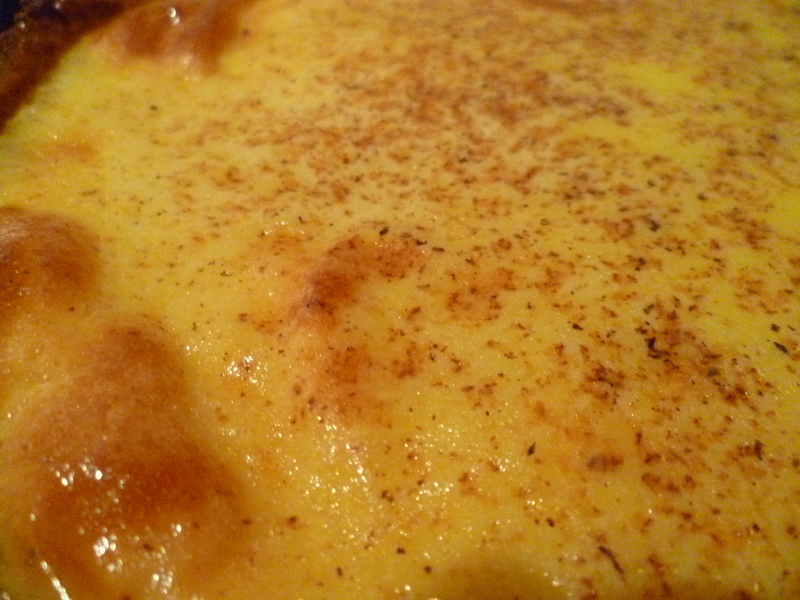 Pour the custard up to the top of your pastry case, and grate over a good helping of nutmeg. You’ll probably have some custard spare – cue gorgeous custard pots! Bake for one hour in the centre of the oven. When it’s done you’ll have a little wobble left in the custard. Make your custard as above. 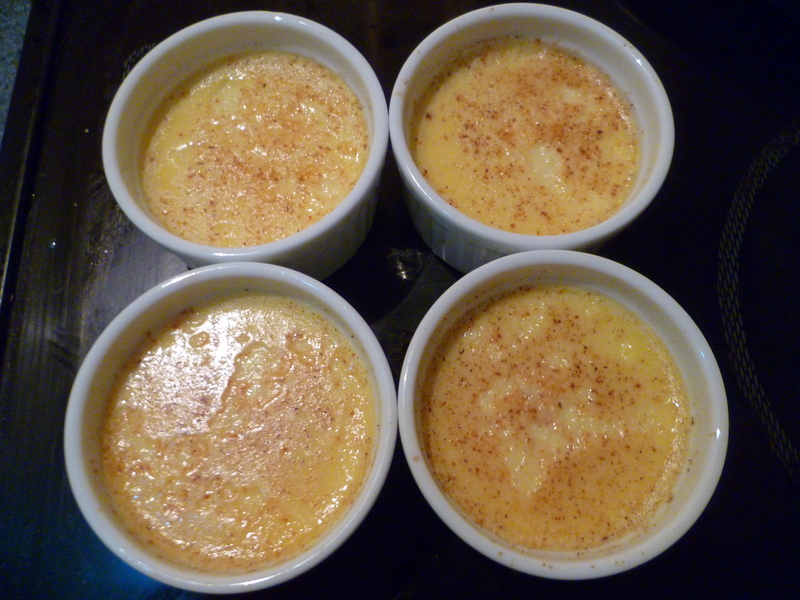 Depending on how much custard you have left – I had enough to fill four ramekins, – add some lemon zest and juice. If you make the whole batch for custard pots (which next time I might), I’d add about half a lemon. Squeeze a little lemon juice into each ramekin, and stir. Grate over your nutmeg and lemon zest, and bake for 25-30 minutes in a bain marie until set with only a tiny wobble. OMG these look amazing!! I was asking on twitter yesterday for a quick and easy recipe using 4 egg yolks that was not custard but I think I may just have to make these little custard pots. They look so good and I really want to eat one now. these look fantastic. Ive bookmarked to try it out!